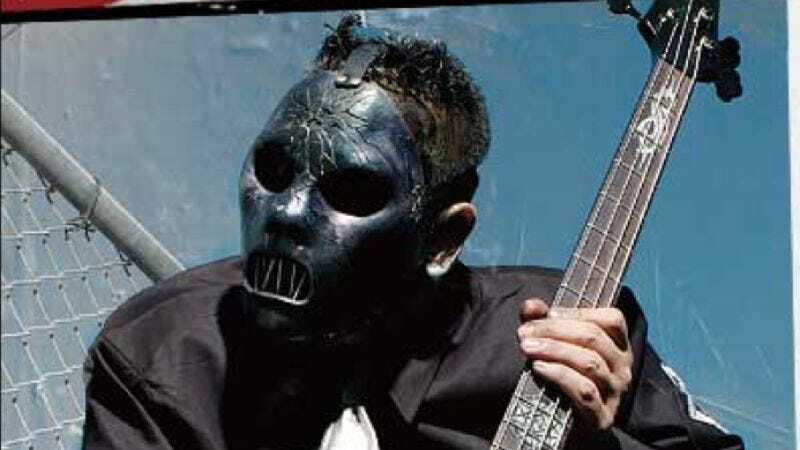 According to multiple reports, Slipknot bassist Paul Gray—also known as “The Pig”—was found dead today in a hotel room in Urbandale, Iowa, near the band’s hometown of Des Moines. Police are still waiting for an autopsy to be conducted tomorrow to determine cause of death, but so far foul play is not suspected. He was 38. Gray was one of the few remaining original members of Slipknot, who, in the words of the Associated Press, is known primarily for its “grotesque masks.” It was also known for platinum-selling albums—even taking home a Grammy in 2006 for “best metal performance—that have garnered critical respect from the likes of Rolling Stone’s David Fricke, who termed its second album, Iowa, “the first great record of the nu-metal era.” Its most recent, 2008’s All Hope Is Gone, was followed by an extensive world tour, and a re-release of its debut in a 10th anniversary box set late last year. Slipknot has yet to issue an official statement.